The sergeant is now a captain. 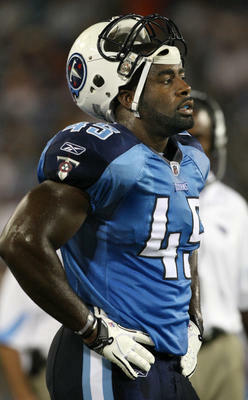 Former Marine Ahmard Hall has been voted as one of the Tennessee Titans co-captains for the 2010 season, The Tennessean reported. Hall, once a walk-on at the University of Texas, has become one of the top fullbacks in the NFL since joining Tennessee in 2006. Last year he helped clear the way for Titans tailback Chris Johnson, who finished with 2,006 yards rushing — the sixth highest total in NFL history. Hall served in the 3rd Battalion, 8th Marines at Camp Lejeune, and deployed to Kosovo and Afghanistan while in the Corps from 1998-2002, according to his Titans bio.